For this installment of “Where are they Now?” we hear from Scott Hilgenberg, who interned with Crag during the summer of 2011. Erin Elliott interviewed Scott in August 2014. 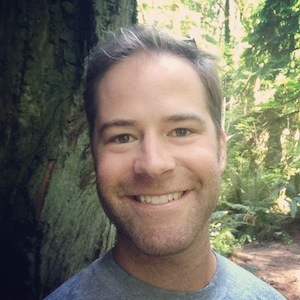 Scott first heard of Crag through his work with the Northwest Environmental Defense Center at Lewis and Clark Law School. At the school’s spring career fair, Scott interviewed with Tanya Sanerib and began working with Crag the summer after his first year. Scott learned from his time at Crag that representing non-profit environmental organizations requires no small amount of dedication and enthusiasm. Through his experience at Crag, he learned to take a big picture view – seeing that it’s not always the outcome of a case that matters most, but the direction of the environmental movement. Scott also learned how to do legal research for eight hours and still be excited and energized to come back and do it again the next day – just because of the possible outcome of further protecting the environment. During the remainder of his time in law school, Scott interned with Lewis and Clark’s International Environmental Law Project, Oregon’s Land Use Board of Appeals, and Earthrise Law Center, where he worked mostly on Clean Water Act litigation. Following law school, Scott moved to Olympia and began working with the Washington State Department of Natural Resources as an Aquatics Land Manager. In September of 2014 Scott took a position as Staff Attorney at the Oregon Land Use Board of Appeals in Salem. Scott is a strong proponent of renewable energy, and encourages individuals to contact their local, state, and federal representatives to push for stronger renewable policies. He believes that to combat our changing climate, policymakers need to look to all sectors for solutions to reduce emissions, and that this can only be done with extensive planning and the help of active, educated citizens. Erin Elliott is a junior at Duke University. She volunteered with the Crag Law Center in the summer of 2014 as part of the DukeEngage Portland program. She is majoring in biology with a minor in environmental science and policy.